How can one get a carriage return at the end of each line (Lualatex) ? Not the answer you're looking for? 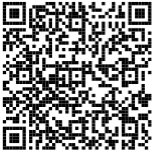 Browse other questions tagged line-breaking qrcode directlua or ask your own question. Why doesn't \newline work inside lstlisting? how to get a newline in \fbox?